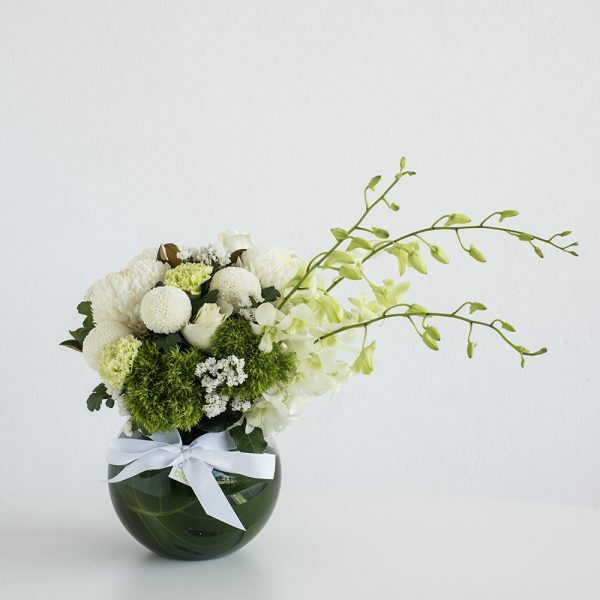 A modern arrangement of white and green seasonal blooms with tropical foliage arranged in a glass fishbowl for easy maintenance for the recipient. This beautiful arrangement could be given for many different occasions. The glass fishbowl is a great keepsake for ongoing usage and makes it easy for transportation.